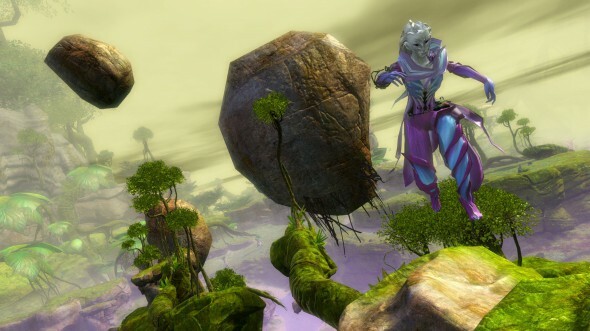 We want to remove the choice players are currently being forced to make on their gear: â€œDo I go with better stats, or better loot?â€ This isnâ€™t in the spirit of cooperation that Guild Wars 2 is all about. As such, weâ€™ll be removing magic find entirely as an item stat and turning it into account stat that improved the odds of rare drops for all your characters. You can improve your account magic find through the account achievement reward system and from consumable items found in game. As your magic find increases, it will require more consumables to keep raising it higher. In the near future, weâ€™ll detail the system weâ€™ll use to replace the existing magic find items. Our goal will be to have as little disruption as possible to those who currently own items with a magic find stat on them. Otherwise known as blues and greens, we want to give more reason to care about these item types when they drop. When the account magic find system is implemented, there will be a chance you can acquire account magic find consumables from salvaging both fine and masterwork items.